So, in celebration of Canadian Thanksgiving, your faithful beer reviewer has come down with the kind of gross and disgusting cold that makes it difficult to discern any and all tastes. So as not to break the sanctity of Pumpkindrome, I’ve held off on continuing our pumpkin beer showdown until I can, you know, actually tell the difference between beers. Sorry for the extended disruption! Regular service will resume Tuesday. 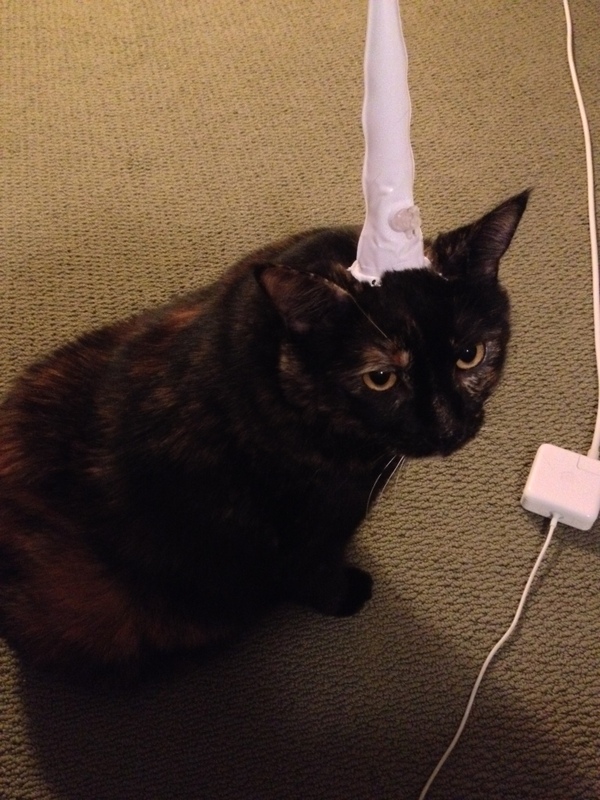 In the meantime, have a picture of Bad Rider Reviews’ Canadian mascot dressed as a unicorn.